I love these simple little macaroons. So quick to make, so easy and they taste like heaven – all toasty and chewy on the outside and still soft and moist in the middle. These ones are gluten-free, and can easily be made sugar-free as well, with no suffering of taste or quality. Most macaroons are a fiddly mixture of meringue and coconut – these ones are simply egg, sugar (or sugar substitute) and coconut thrown together, with a cherry on top. Voila! So easy a child could make them. They are a lovely addition to afternoon tea, and are also great for fundraisers. 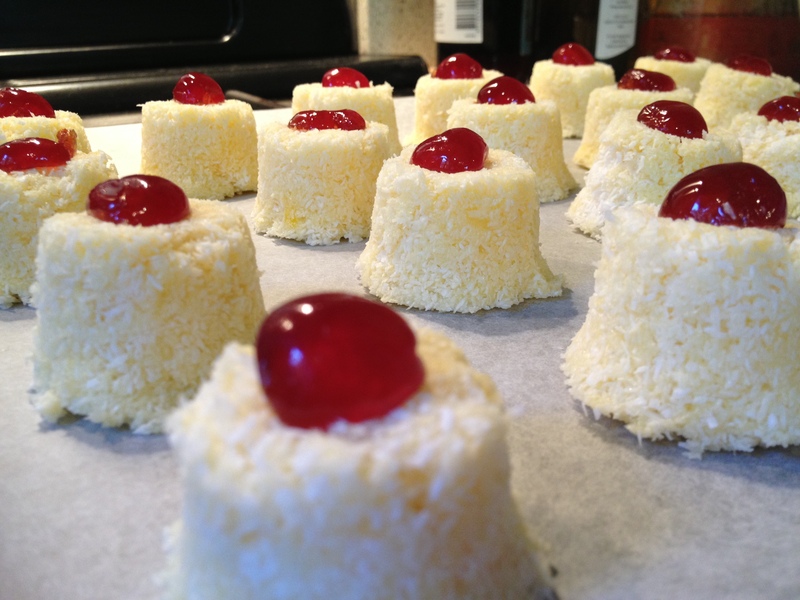 3 cups of unsweetened desiccated coconut; 2 eggs; 3/4 cup of sugar or natvia (or other sweetener of your choice; glace cherries, halved, to decorate. Measure the coconut and sugar into a large mixing bowl. Break the eggs in and mix thoroughly. Leave stand for five minutes. 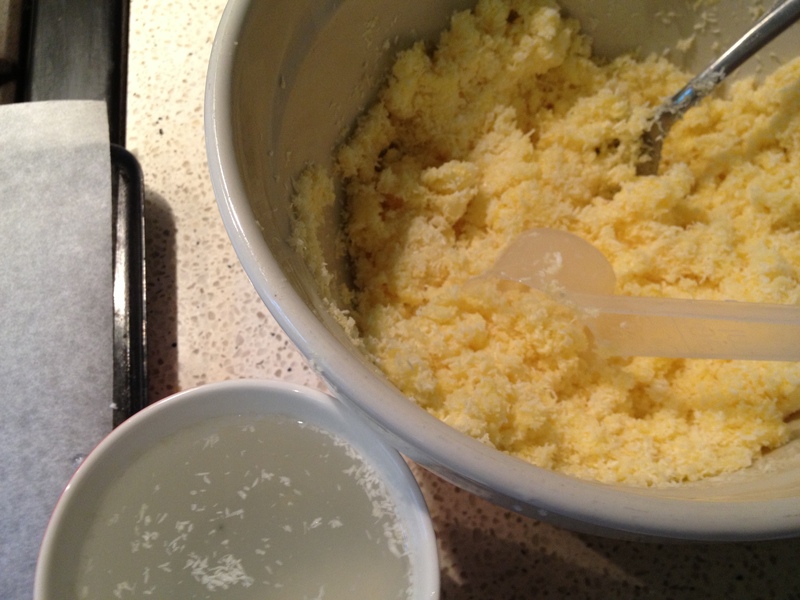 Now using wet hands or a small wet mold (I use an 1/8 cup measure, which gives me 24 macaroons – an eggcup also works well!) 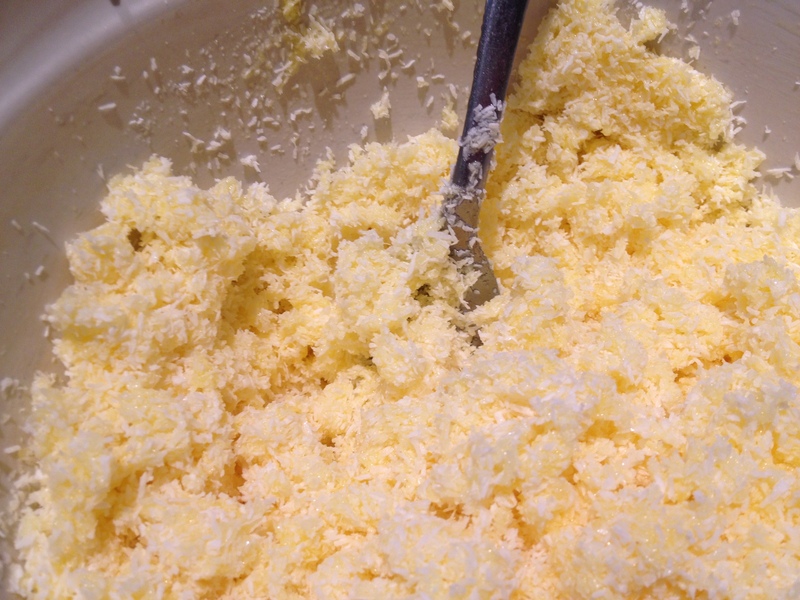 scoop up some mixture, firm it and place onto the baking tray. Wet your hands or the mold in between each macaroon so that the mixture doesn’t stick. A bowl or cup full of water will do the trick. Then place half a cherry on top of each macaroon. Place into the hot oven and bake for 20 minutes or until golden brown. Cool on the tray for five minutes before transferring to a wire rack until completely cool. Store in an airtight tin for up to a week. Enjoy! 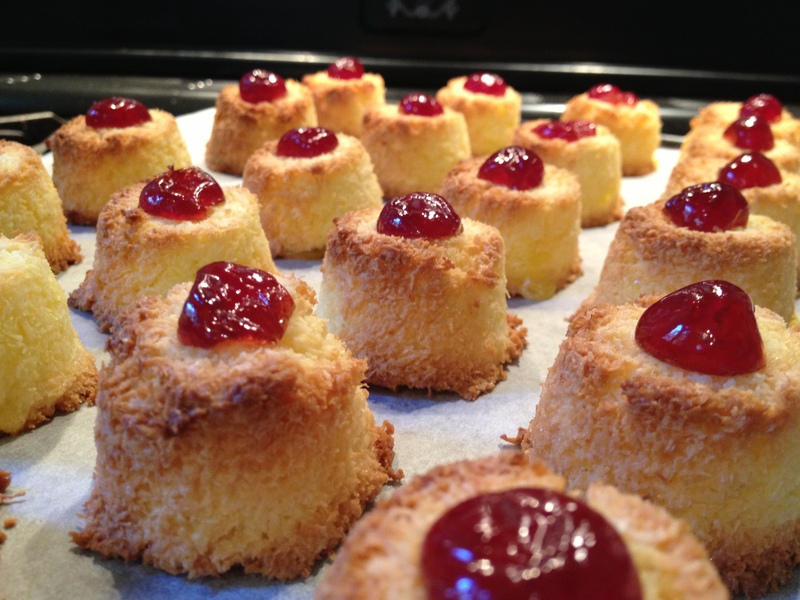 This entry was posted in Fast and Fabulous!, Gluten-free, Sweet treats and tagged coconut macaroons recipe, diabetic friendly dessert, easy coconut macaroons, gluten free coconut macaroon, paleo macaroons recipe, quick gluten free treats, sugar-free baking recipe by Cauldrons and Cupcakes. Bookmark the permalink. I loved them. I have to try them. I hope the kids don’t like them. More for the adults…. So easy! I must try them, thank you. Got a batch in the oven right now. I tried using an egg cup as a mould but couldn’t get the mixture out so ended up just using my hands, which was fine if a bit messy (coconut eggy goo all over the kitchen taps, etc.). 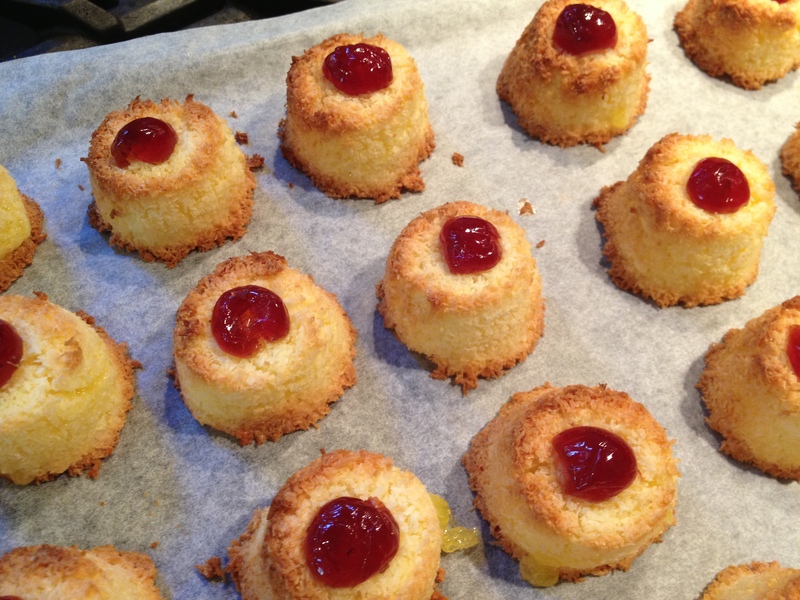 Great easy recipe, thank you; I can’t wait to try them as they’re starting to smell so good….